The cost is the same as last year at £180.The closing date is the 10th of June 2019. Any booking after this date will include a late booking fee of £20. This is because this year, several instructors have to book holiday off in advance and if they are not needed then they will have taken time off for no need. We need to know the numbers as soon as possible so we can start organising things. The exception to this is if you have become new members after this date, then the normal cost will apply, but we ask you to let us know as soon as possible. This year there are a couple of changes we need to put in place. Unfortunately, we are now unable to accommodate 'special helpers' eg under eight years during the day as a result of insurance issues and the number of children anticipated. 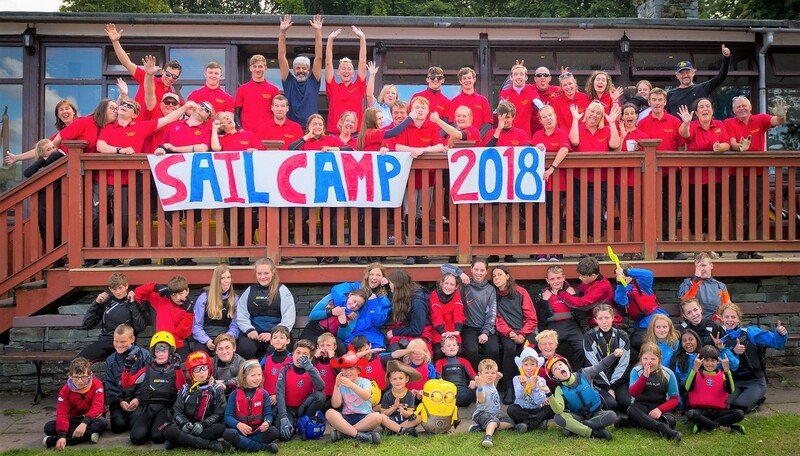 This may mean you need to make other arrangements for them when you have duties to support the camp if your child is attending, as you will still need to do these duties to ensure the camp runs well. We wanted to give you as much notice as possible for this. There will be a limit on the numbers of adults camping all week, too, due to the high number of children/tent spaces and these will be given to the full time helper roles. We will circulate a list of these and you may feel you can help with one of them. Looking forward to seeing you all at training at the club. Here's to a great season and lots of fun sailing. Youths - also remember the race training on the weekends that Blokes in Boats and Ladies who Launch also run. Chris and the team are excited to start the Race Coaching again.